Built 1882-1883 by Richard Wocke. Also used as a vaudeville theatre. Demolished. 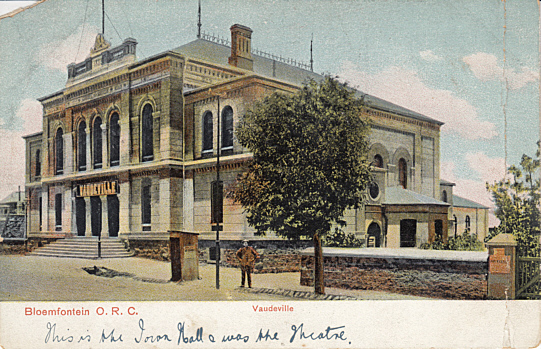 Front Text: "Bloemfontein O. R. C., Vaudeville" [O. R. C. = Orange River Colony, which dates the card 1902-1910], sign over building entrance: "Vaudeville"